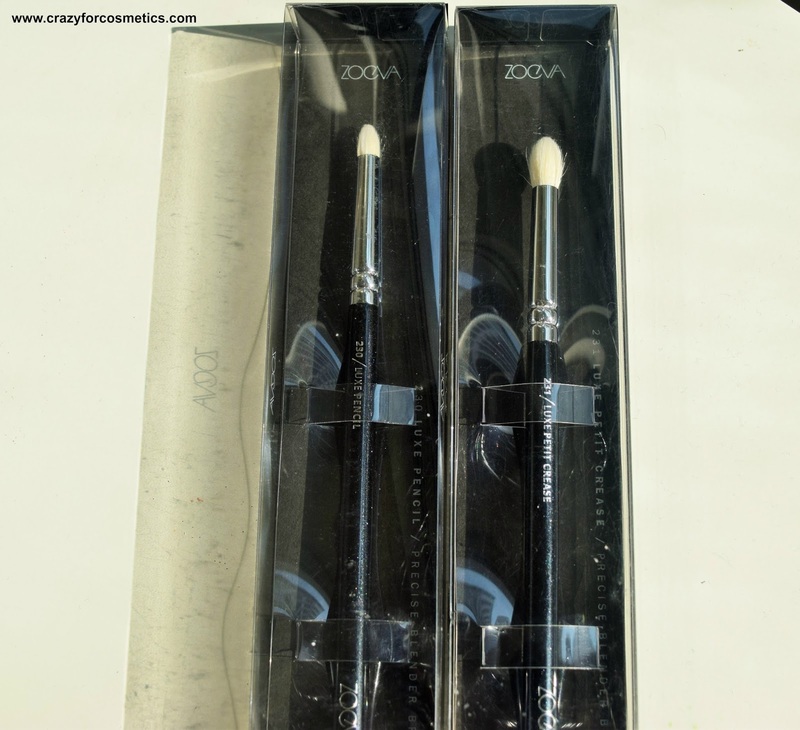 Use this pencil shaped makeup brush to emphasize every corner of your eye area. The 230 Luxe Pencil is a specialist for eye shadow application in the crease, blends edges evenly and creates fabulously shaded results along the lash line for a smoky eye effect. An essential tool for a professional crease definition and a perfect eye contour. With this brush you can blend eye shadow and shade transitions. A darker shade in the eyelid crease creates depth and highlights the eyes. The brushes from Zoeva are just too classy and I do not have words to describe them.They appear similar to MAC brushes but they are way lighter than MAC brushes and are so easy to work with. I love the handle so much because it is so easy to hold and gives a good grip as well. I am totally impressed with the design and the light weight nature of the brushes. The bristles are extremely soft and are a combination of natural and synthetic hairs. They are just perfect to work on the eye area because they feel really soft and gentle on the skin. The bristles are tightly packed and are useful for blending in the crease and the color tends to remain well within the crease area. 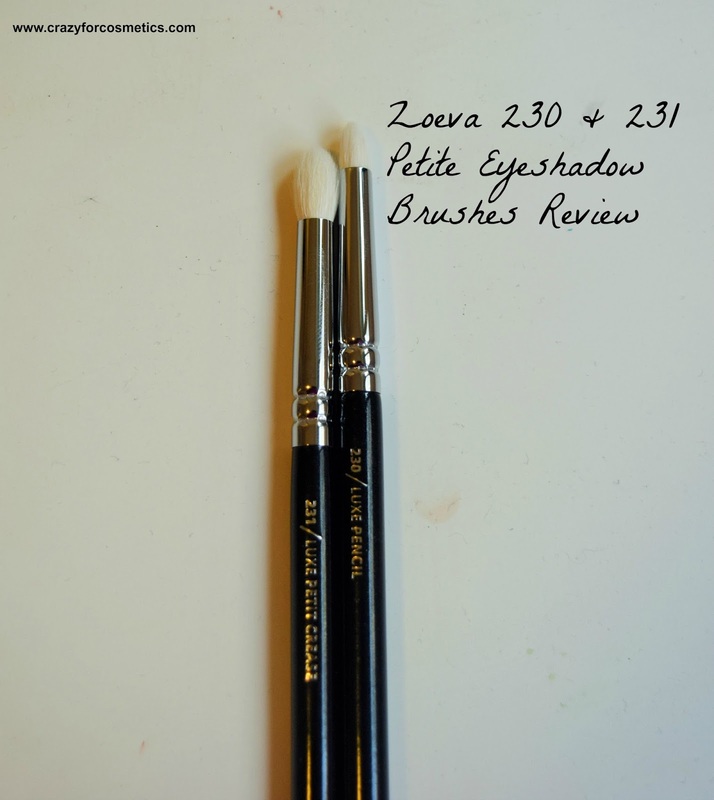 The 230 pencil is ideal for smoking out the lower lashline and creates a smooth smokey eye. The only con about the 230 brush is that it tends to hold more of the product and transfers only lesser amount. The 231 is a perfect brush for blending in the crease and outer V of the eye and I love that it retains the products within the crease limit. 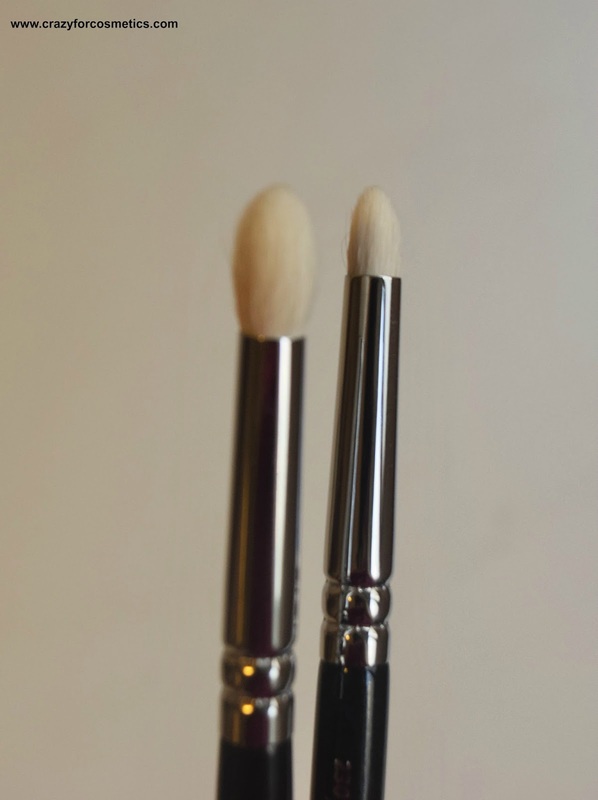 The bristles are tapered and hence it acts as a good blending brush. 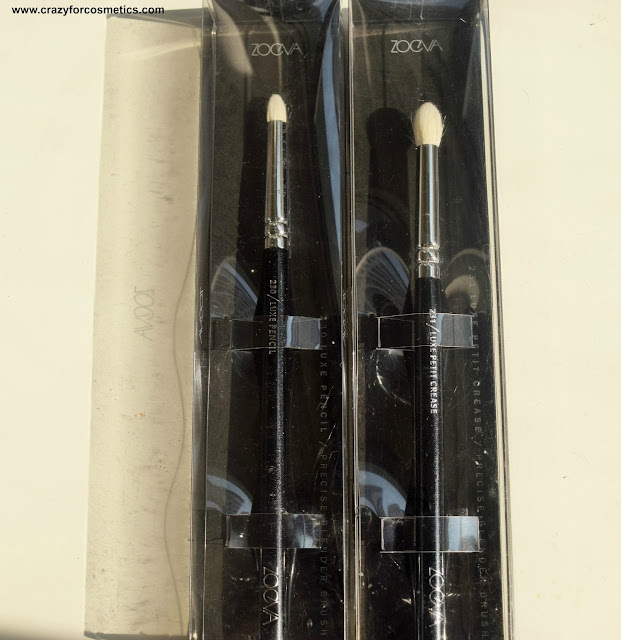 The MAC 217 has bristles that are more wide set and hence tend to spread out the color more and it could be a bit too much for narrow eyelids. 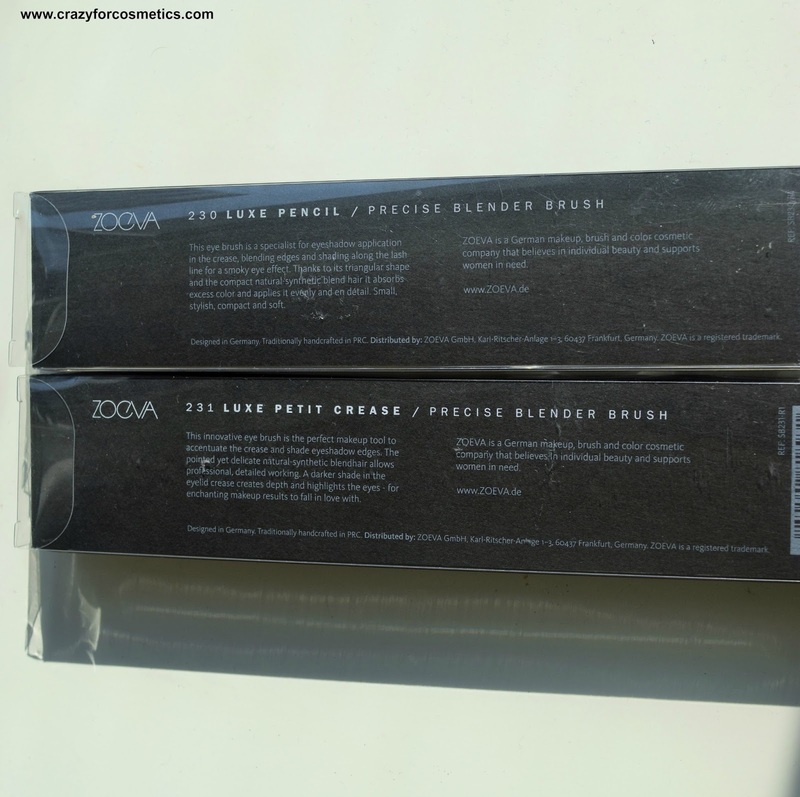 I use Sephora's brush cleaner for brushes that contain natural fibers in order to minimize hair fallouts.I have been finding it quite easy to clean up the Zoeva brushes after every use with the Sephora spray. 2 : Combination of natural and synthetic enables easy usage & easy maintenance. 3 : Very lightweight and easy to handle.